Tia Ansell, ‘Ciao (Purple)’, 2019. 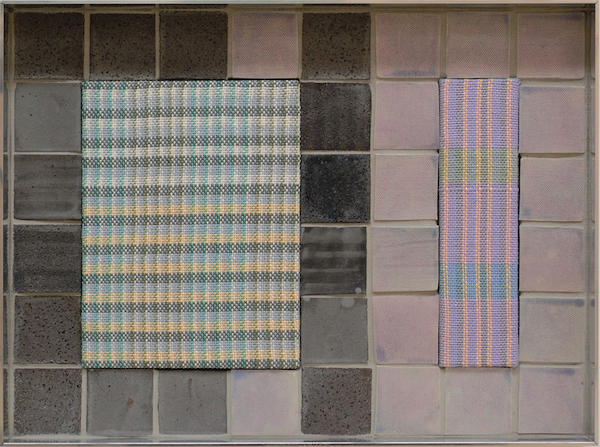 Linen, cotton, acrylic and polyester weavings, ceramic tiles and grout, in custom aluminium frame, 46 x 34.2 x 6 cm. Courtesy: the artist and Suite Gallery. Suite Gallery presents work by Tia Ansell. An honours graduate from the VCA in Melbourne, this is the first time she will be exhibiting in New Zealand.